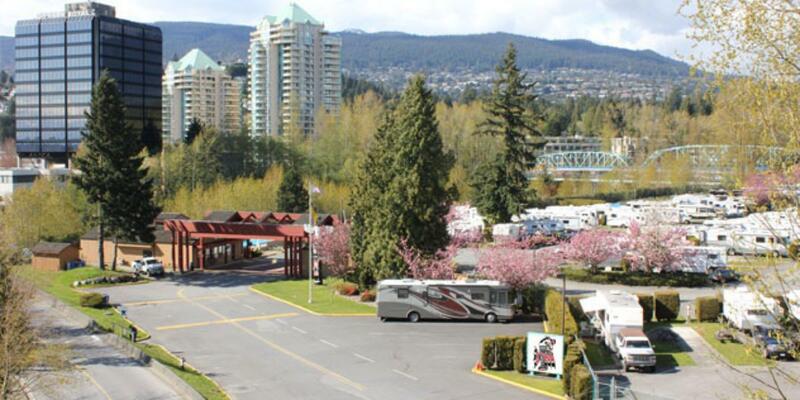 Whether you’re here to explore the North Shore mountains, Vancouver’s downtown, Stanley Park, or you’re just passing through en route to Whistler or Vancouver Island, we’re your best choice for Vancouver RV parks & campgrounds. We’re just minutes from almost all of the activities and attractions the Vancouver area has to offer. World-class dining, skiing, hiking, sightseeing, family activities, eco-tourism, shopping, nightlife, and sporting events literally surround us. There are countless reasons to visit the Vancouver area, and sites at the Capilano River RV Park we put you in the centre of it all! If you’re heading to Vancouver Island, we’re just 10 minutes from the Horseshoe Bay ferry terminal. If you’re Whistler-bound, we’re just minutes from the famous Sea-to-Sky highway and only 90 minutes to the slopes of Whistler Blackcomb! Located just minutes from the Trans-Canada highway, our Capilano RV Park is conveniently located no matter what your travel plans may be!